Roberta Feins was born in New York, and has lived in North Carolina and Seattle. She has degrees in Social Science (BA) and Marine Ecology (MS), and received her MFA in poetry in 2007 from New England College where she studied with Judith Hall, Carol Frost, DA Powell and Alicia Ostriker. 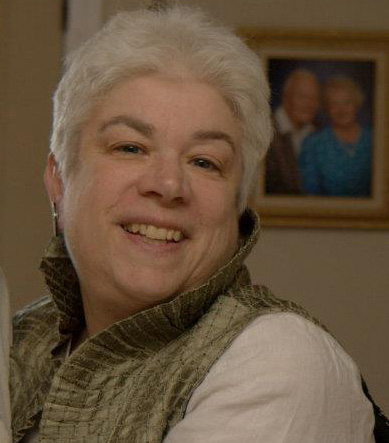 Roberta’s poems have been published in Five AM, Antioch Review, The Cortland Review and The Gettysburg Review, among others. Prizes include First Prize in Poetry, Women in Judaism’s 2010 Writing Competition, and Second Place in the 2007 Society for Humanistic Anthropology Ethnographic Poetry Competition. Roberta edits the e-zine Switched On Gutenberg (http://www.switched-ongutenberg.org/) and has selected poetry for Drash: Northwest Mosaic and the Naugatuck River Review. races wildly to the Pacific, never returns. Fix your hair in the hall mirror, dear. this evening’s color pours from a bottle. Never mind. An empty smile makes the moon cry. the Pale Ale, nachos, Ballard Bitter. down Mission Street by his coat collar? on his tinny tape deck at Rocky Reach.